The Womb Blessing is the Female Energy Awakening system created by Miranda Gray, and accessed by more than 100,000 women around the world. The Womb Blessing returns our female nature back to its sacredness, awakening and restoring our female energies. Each time we partake in the Worldwide Womb Blessing we women awaken globally together. 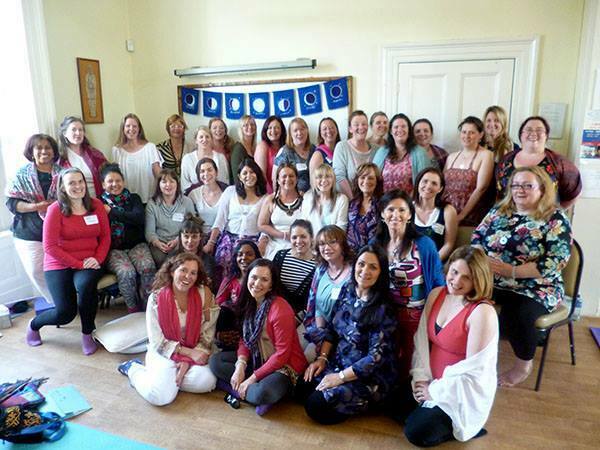 Each time we receive a personal Womb Blessing or Womb Healing we further our own unique journey and sacred unfolding.The Womb Blessing energy originated in the New Forest in the UK, with Miranda Gray, international author, artist, healer and teacher. It first began as a global energy transmission, held on a full moon, for women in 2012. The gentle, but powerful, attunement re-awoke women’s connection to the Divine Feminine at the Womb Centre. It proved transformational and deeply healing. That first year the Worldwide Womb Blessing was offered five times, with more and more women signing up each time. From a small seed it rapidly grew in to the most wonderful flower.